Our next very popular Rockfest is on the 2 - 3 - 4 th August 2019. Please check out both websites for our New updates Over 5000 specimens on sale! Check both websites! John cutting a large chunk of tiger eye..
A tranquil Mary river scene painted by Cecile. When it is not in flood! It started out simply as a hobby for John Steenbergen. The great outdoors always seemed to get the better of him, so whenever there were days to spare, he would pack the old faithful van with camping gear, fishing rods, picks, shovel and, of course, the gold pan, setting off to any stream, river, or lake to catch that elusive trout, or pan for the lovely yellow stuff - Gold! As time went by a wife, Cecile, and four children shared the same interest, picking up pretty pebbles, or curious and interesting looking rocks and crystals. At the end of the day the campfire would be lit by Cecile and and the freshly caught rainbow trout placed in the pan for the evening meal, while John would set up the tent for the night ahead. Exploring these mountains, rivers and lakes was a time to be treasured forever. Now, over forty something fossicking and collecting years later, they are the proud owners of one of Australia's largest rock shops situated on the Bruce Highway linking Queensland's major cities, as a hobby John runs several very popular rock & mineral related websites. Coolrocks proudly present our new product perfect for beginning geologists, home school families and schools. Australian Rocks, the pink card, has a range of Igneous, Sedimentary and Metamorphic rock specimens. The blue card has a variety of twelve Australian Minerals. Any quantity available! People from many parts of the world find their way to Cooloola Rocks & Minerals, just south of Gympie on the Bruce Highway. Open seven days a week from 9.00am to 5.00pm, the centre is a pleasure to visit. Serious mineral collectors may go in looking for specific specimens, while other visitors like to browse around the extensive private collection. 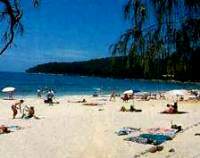 Cooloola Rocks & Mineral centre is one of Australia's major tourist attractions. Thousands of tourists from all over the world visit the centre regular. The shop boost a huge array of Rocks, Minerals, Fossils. ect. Has it's own private museum attached. The shop is set in lovely park surroundings. Make it a date and come and visit us. A stunning display of huge mineral specimens. These are mainly all Australian specimens. JOIN OUR VERY POPULAR GROUP! COOL ROCKS MINERALS BUY SWAP SELL. 1 Lobwein road, Kybong, Queensland. Gympie is the major town in the Cooloola Shire, an historic and modern gold mining town with many attractions :- gold fossicking, Historical and Woodworking Museums featuring steam driven machinery, Public Art Gallery, Mary Valley Rattler Steam Train, Heritage public and private buildings and many other attractions. In the centre of this, Cooloola Rocks & Minerals display specimens found throughout Australia for the discerning collector, complimented by a large range from overseas. Annual events such as the 'National Country Music Muster', 'Gympie Gold Rush Festival' featuring Gold Panning Competitions and the 'Kybong Rock & Mineral Fest' to name few. When in Cooloola, don't forget to drop in and see us. There is a huge range of items for sale, and if you are not buying, just look in awe at our own collection. All visitors are welcome.